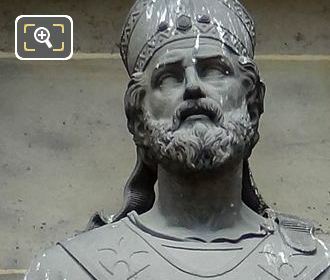 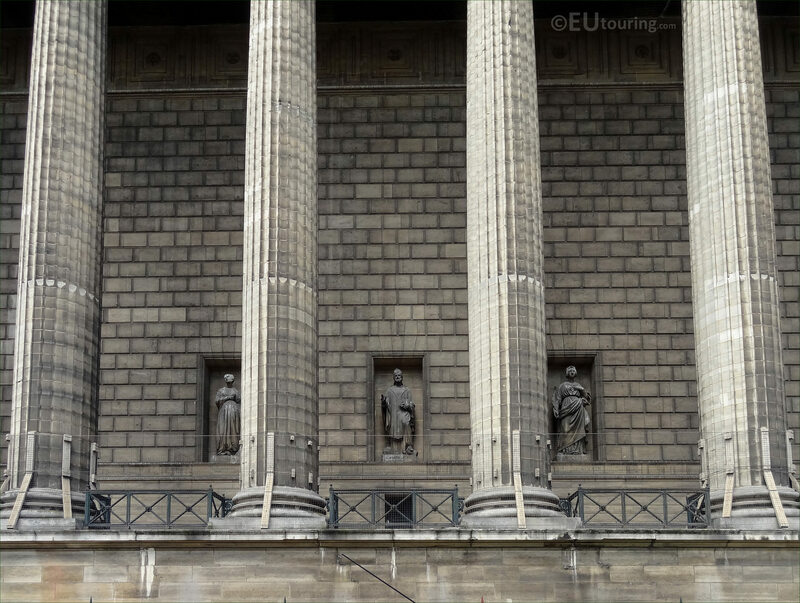 While we were at the Eglise de la Madeleine in the 8th Arrondissement of Paris, we took these high definition photos showing a statue depicting Saint Martin of Tours, which was sculpted by Francois Alfred Grevenich. 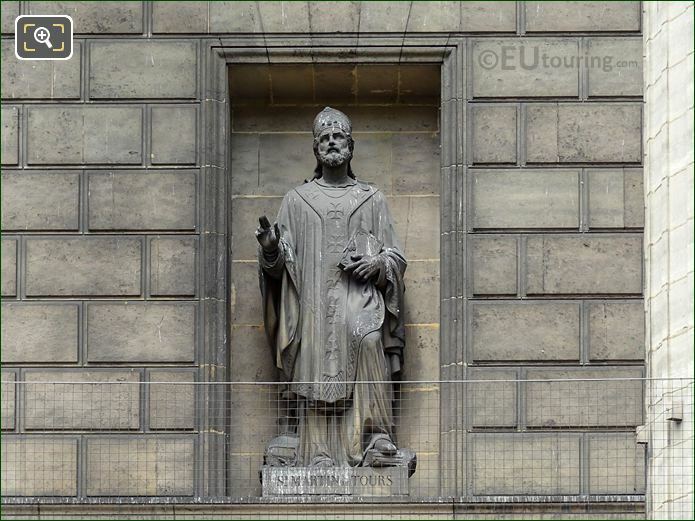 Positioned on the facades of the Madeleine Church you will see statues of saints, and in this first HD photo you can see the stone statue depicting Saint Martin of Tours, who became a Bishop of Tours, and one of the most recognised Christian Saints, he is considered as a spiritual bridge across Europe due to the fact that he was born in Hungary, grew up in Italy and spent adult life in France. 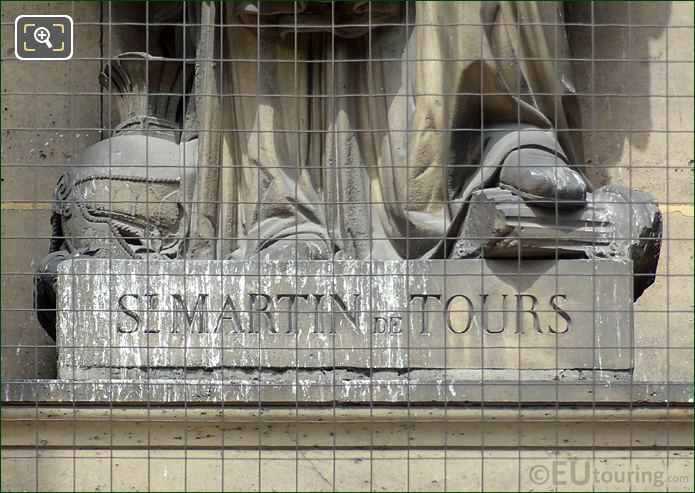 Here is a close up showing the top part of the Saint Martin statue, which was sculpted by Francois Alfred Grevenich who according to some sources was born in Paris in 1802, whereas others state 1808, yet passing away in 1847, he had a very short career, but Francois Alfred Grevenich did gain two medals for his works presented at Salons in 1831 and 1837. 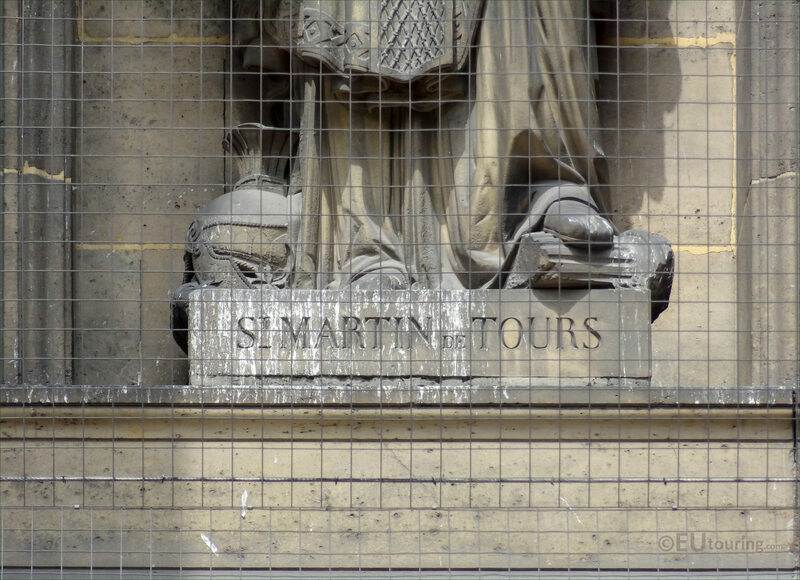 Saint Martin of Tours was originally a soldier and legend has it that when Saint Martin was travelling he came across a poor beggar and being very cold he took his military sword and tore his cloak in half, giving half to the poor man, so hence he became the Patron Saint of the Poor as well as Soldiers. 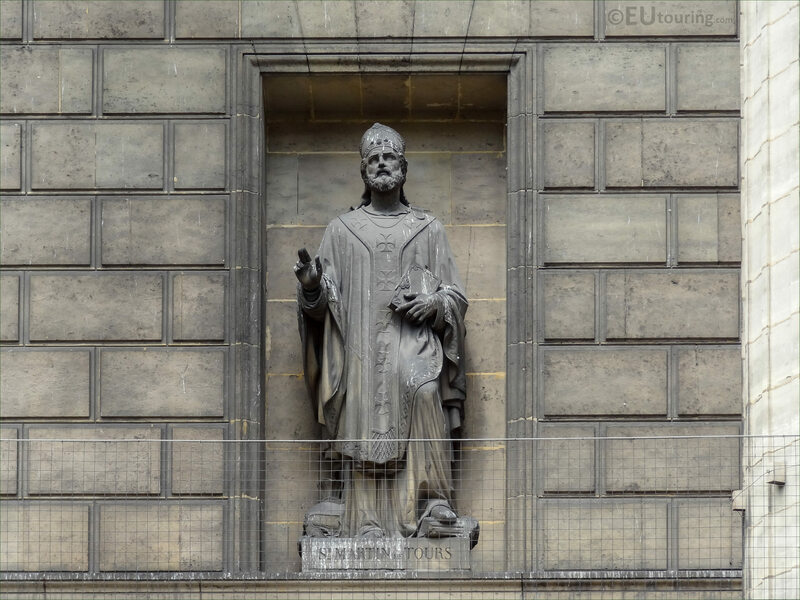 Part of his reliquary was the cloak of Saint Martin that a priest known as a Cappellanu took great care of, and a priest in the army was referred to as a Capellani, which in French translates to Chaelains, and is where the English word Chaplain is derived from, and Saint Martin is recognised in numerous European countries, especially in Roman Catholic religion, with his feast day being 11th November. 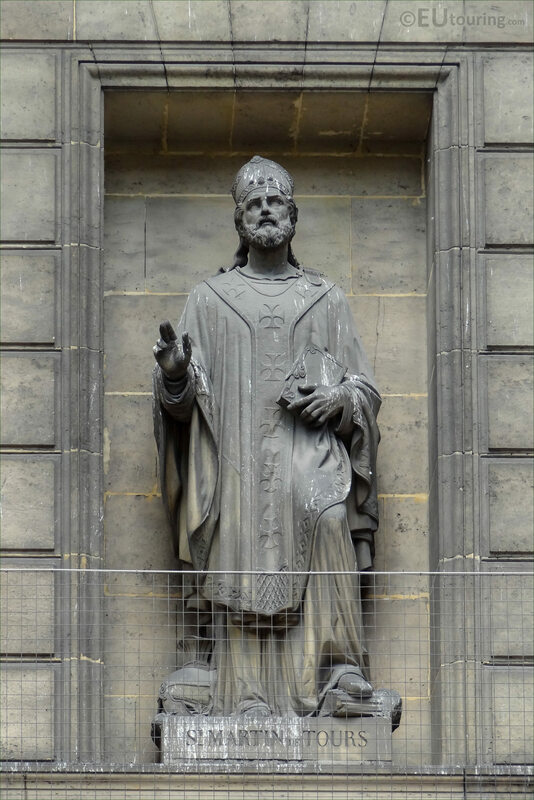 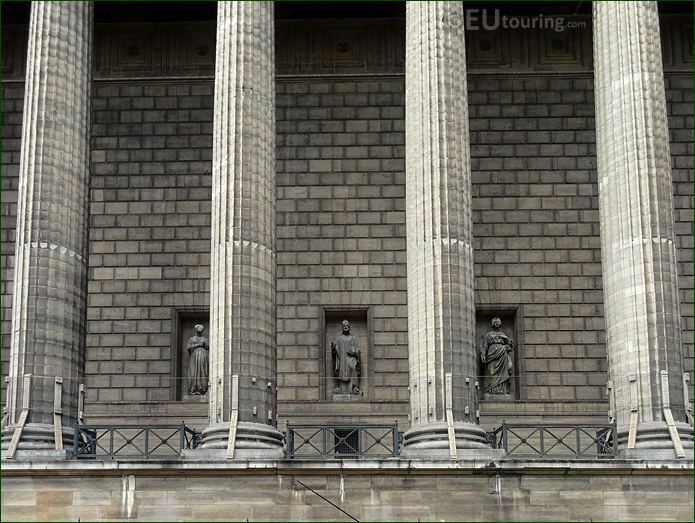 However, here you can see the location of the Saint Martin of Tours statue located within a niche on the portico facade of the Eglise de la Madeleine, which can be seen through the famous Corinthian columns of the church from the square called the Place de la Madeleine.